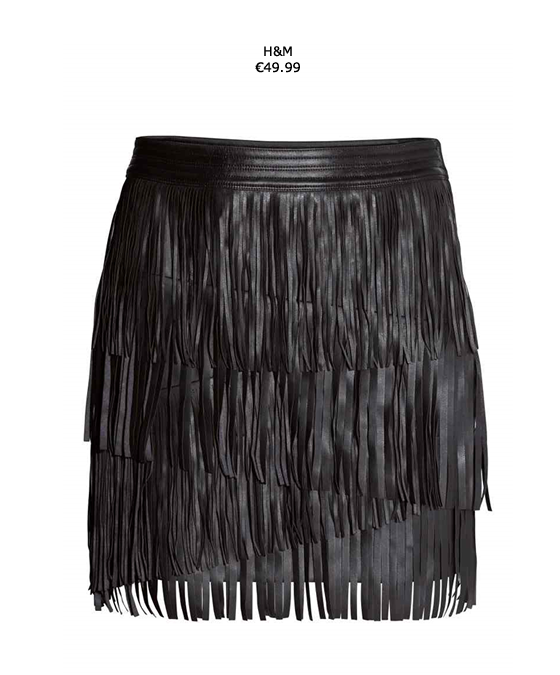 I fell in love with this H&M skirt and I realize that the fringe trend is also popular in skirts. Although my favorites are the mini fringe skirts, I end up finding amazing street style pics with long skirts. Would you wear it both mini and long? Adorei a terceira saia da H&M! É linda. I love fringles, nice post! Adorei a seleção que você fez! I love fringe skirts, especially the ones like the one in the first picture. I love visiting your blog, do you know? Pretty design. Can you click on the links of clothes? 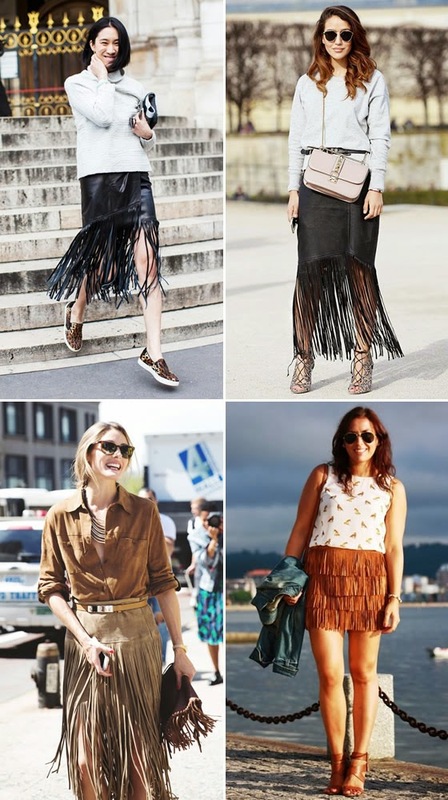 Fringe is so fun and chic.Great post!! I like the fringe skirt trend as well...lovely inspiration. Gosto muito da sais! Não sou grande fã de franjas, mas essa saia conquista-me! Fantastic skirts!! Love the skirt number one (H&M), this skirts are a must have this seasons! Ando completamente rendida às franjinhas. Adorei a primeiras saias da H&M e da Farfetch! Love this kind of fringed skirts! Just in: and then it’s spring!